Ideal to add a touch of glam and elegance in your home, comes this stunning grey and white coat valet crafted from mahogany. 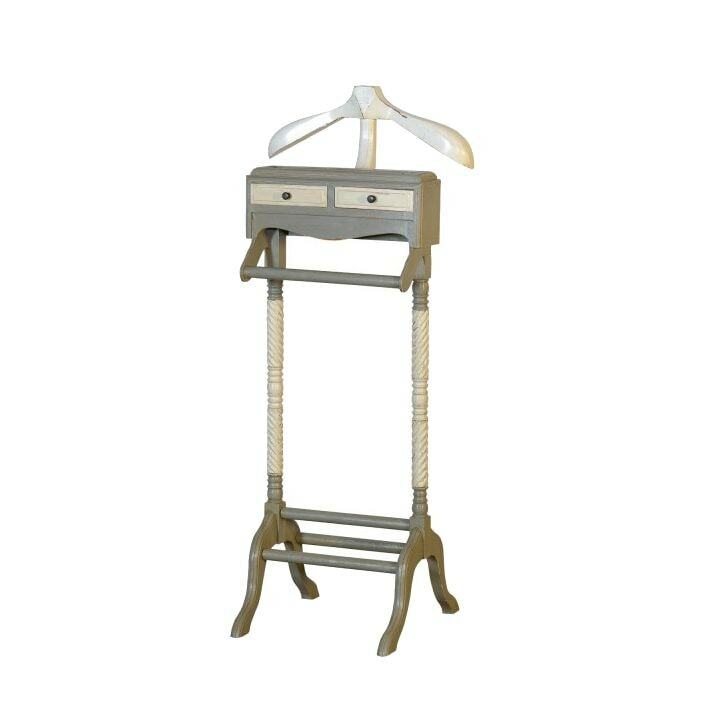 A very practical addition, this shabby chic valet includes two drawers, a hanger and space to store shoos and scarves alike. Handcrafted by experts, this piece is sure to brighten up your home in an instant.